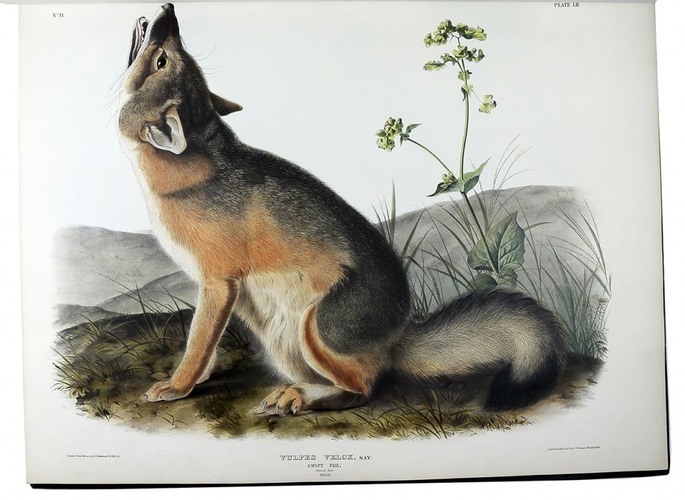 The viviparous quadrupeds of North America. 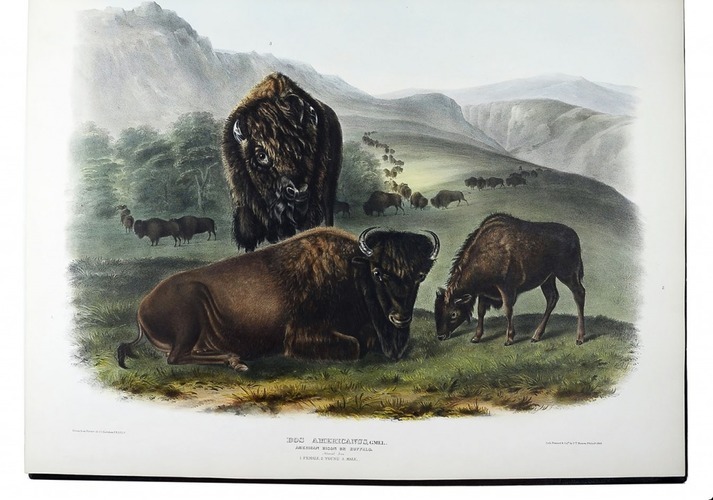 New York, John James Audubon, 1845-1848. 3 volumes. 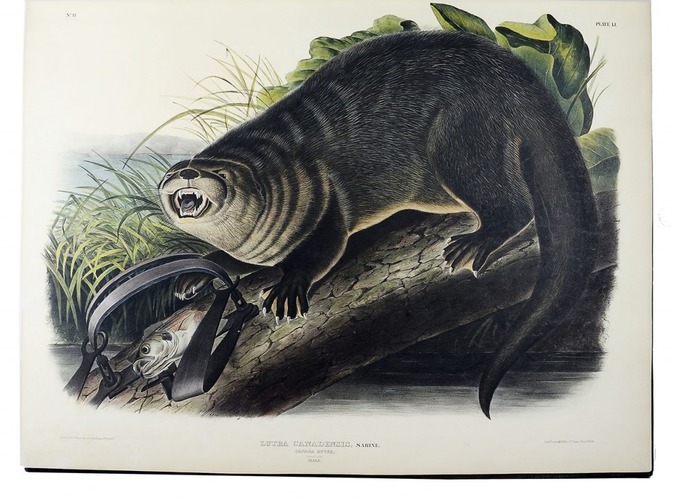 Large 1mo (70×55 cm). 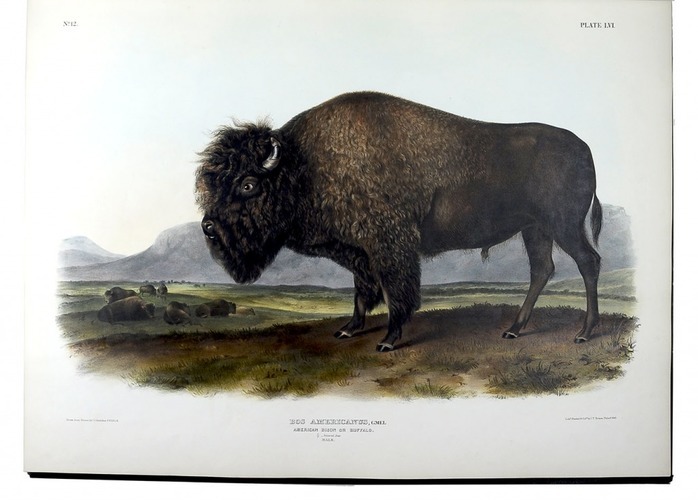 With 150 striking coloured plates, all lithographed on stone, printed and coloured by J.T. 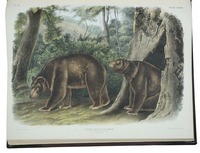 Bowen of Philadelphia, after drawings by after John James and John Woodhouse Audubon, and the backgrounds after Victor Audubon. Each volume also with a title-page and a list of contents. Late 19th-century black morocco. 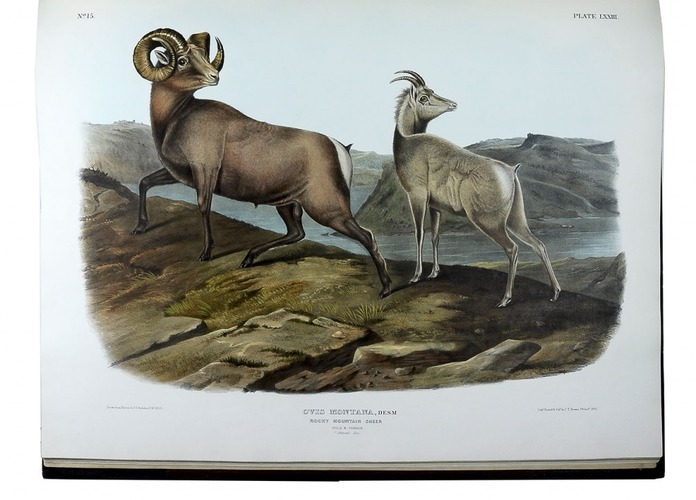 First edition of the extraordinary coloured plates of quadrupeds by the well-known French-American naturalist and painter John James Audubon (1785-1851), who, for this publication, worked together with his sons John Woodhouse and Victor Audubon. 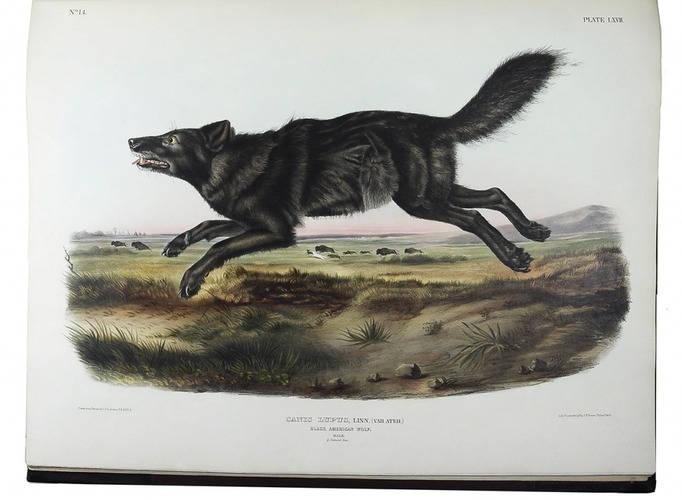 The plates are considered the finest animal prints published in America to this day. 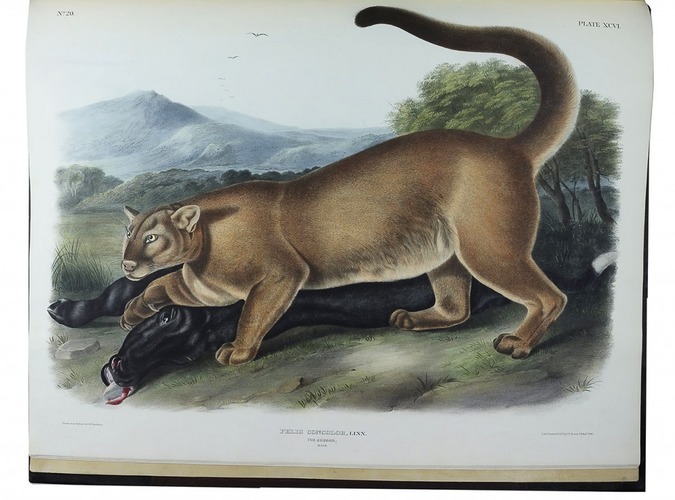 Unlike the Birds of America, it was produced entirely in the United States, making it the "largest successful color plate book project of 19th-century America" (Reese). 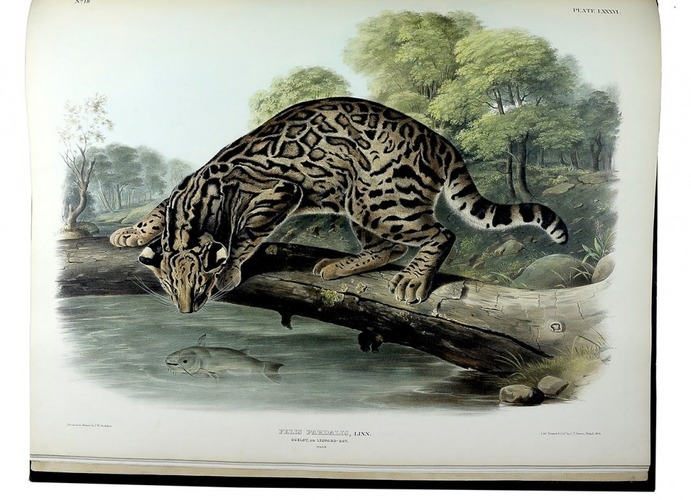 After the publication of his highly acclaimed Birds of America, Audubon settled on the Hudson River and began working on the present series to document the animal life of North America. 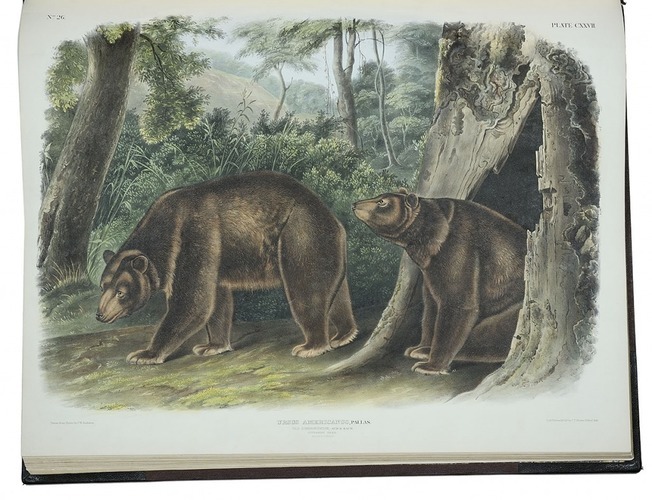 The plates were first published in 30 parts of 5 plates each and three separately published accompanying text volumes, written by John Bachman, appeared between 1846-1854. 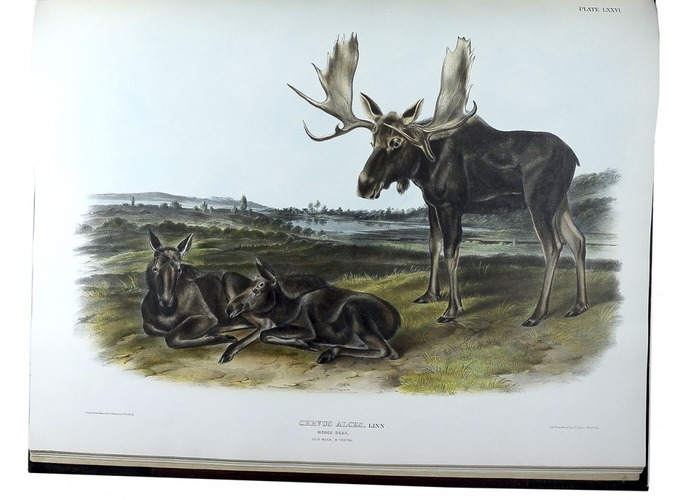 A second edition was published in 1856, but "the first edition is by far the best" (Sabin). Title-pages with some small scuff marks, a few plates with minor unobtrusively repaired tears along the edges. Binding skilfully restored. Complete set, with most plates in fine condition. Buchanan, pp. 147-154; Nissen, ZBI 162; Reese 36; Sabin 2367.